Though I am not an avid reader, but I have always found it irresistible to visit a book fair or a literary event. 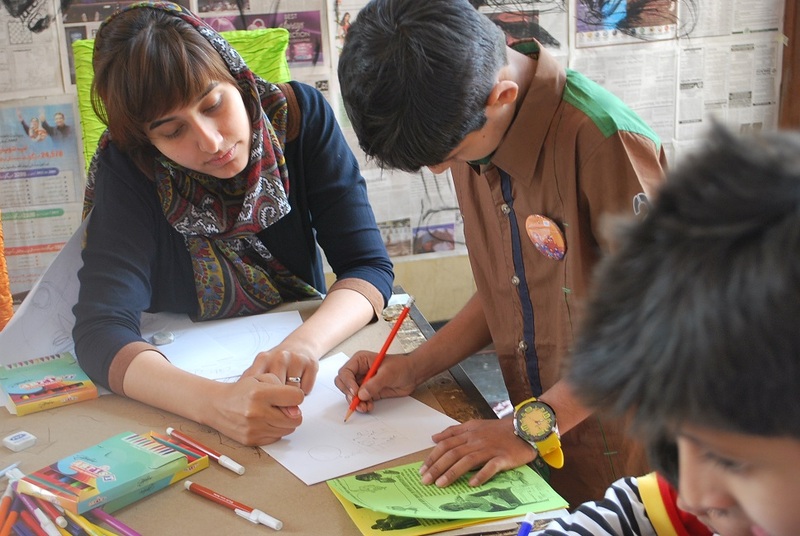 One of the best things happening to Karachi every year is Karachi Literature Festival, and this year it was followed by Children’s Literature Festival. 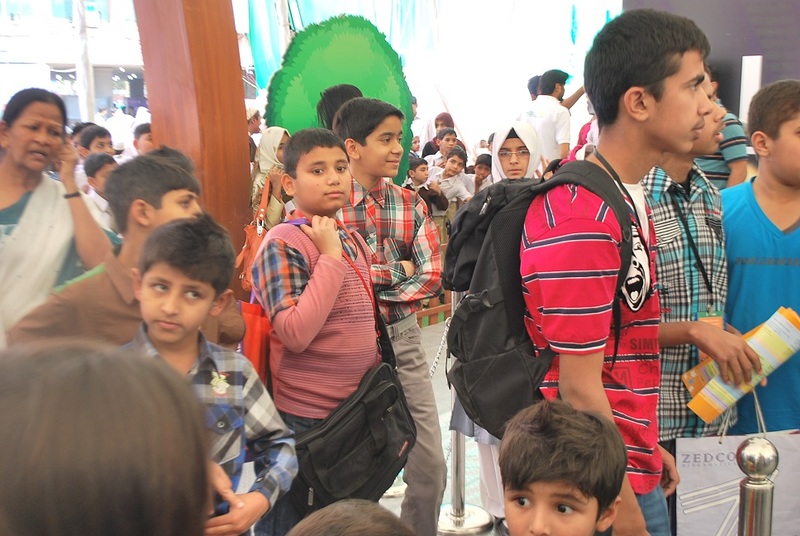 I could not attend KLF, but resolved not to miss CLF, in particular because I had to take my kids there too. 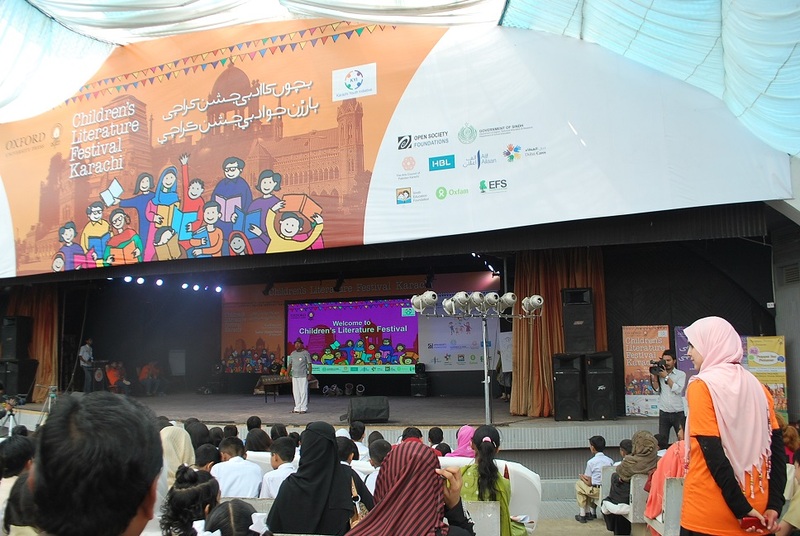 The Children’s Literature Festival was jointly organized by Idara-e-Taleem-o-Aagahi (ITA), Oxford University Press (OUP), Open Society Foundations (OUP) and Karachi Youth Initiative (KYI), and to them goes a huge applause. 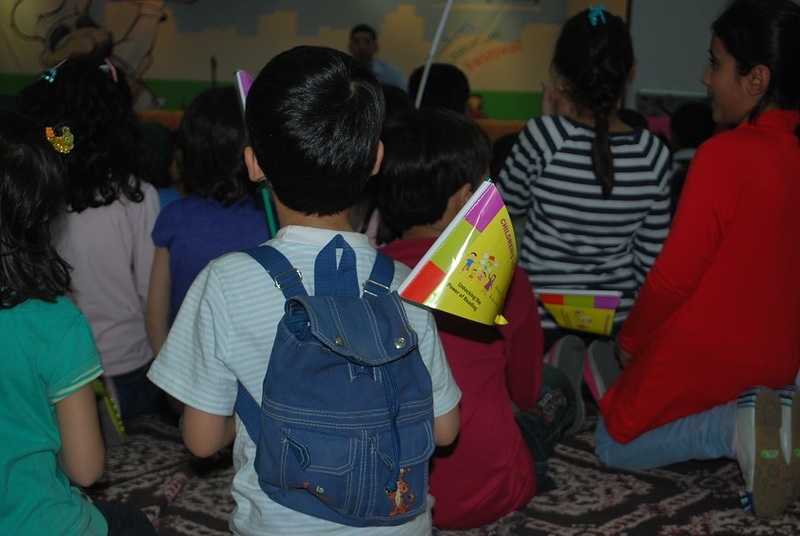 Events like CLF provide opportunities to the kids to read and write, to listen to their favourite books being read and sung aloud, to listen to their favourite stories told by famous writers/story-tellers, to read their own writings to an audience, to attend sessions in their mother tongue, to watch theater and puppet shows, and other activities related to reading. 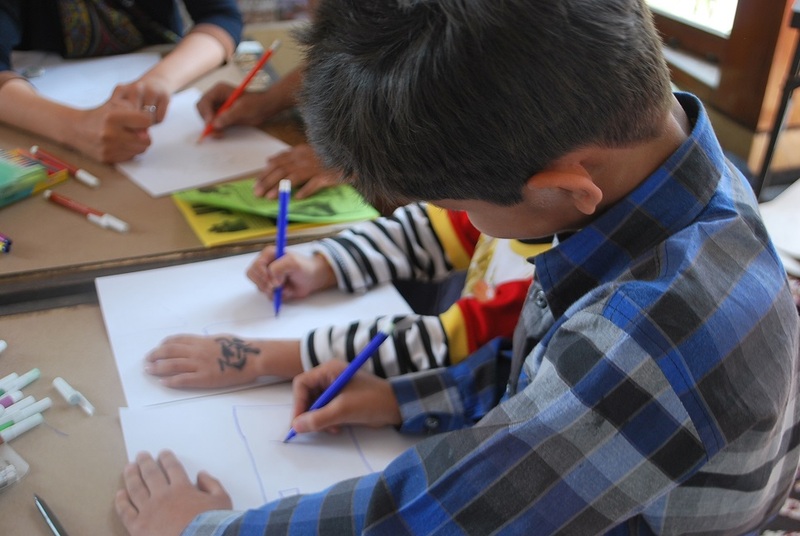 I had told my kids that though there won’t be any roller-coaster or merry-go-round rides, but they would still have good time with story-listening, creative activities and other performances. They were excited to go. The festival was scheduled to start at 0930hrs, but we reached at 1100hrs, one and a half hour late. Just upon our entry into the Arts Council I was asked to get registered and was handed down a booklet which listed the events of the day. Since there were at least five different sessions happening at the same time at different venues I had to choose the ones I thought were better. We started off with a visit to an indoor camp called “Harry Putter Corner”. 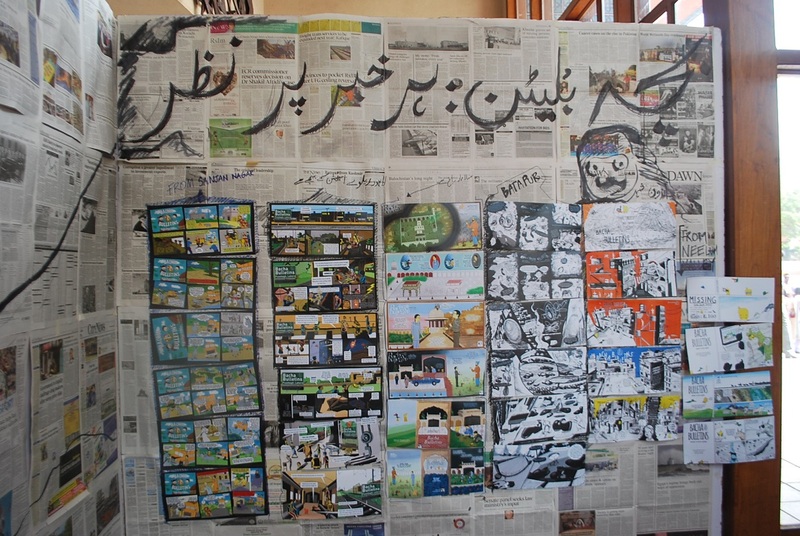 We could see newspaper clippings and comic strips on the walls. The camp was being run by Laajverd. 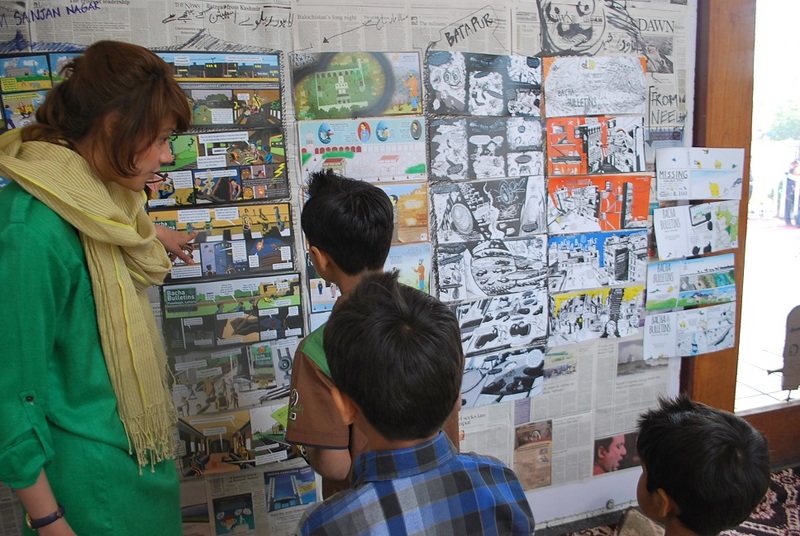 The activists explained their project “Bacha (Kids) Bulletin” to the kids and got them involved in thinking about a real-life event and coming up with a way to report that event. Then we headed towards a workshop on Innovative Methods of Teachings. 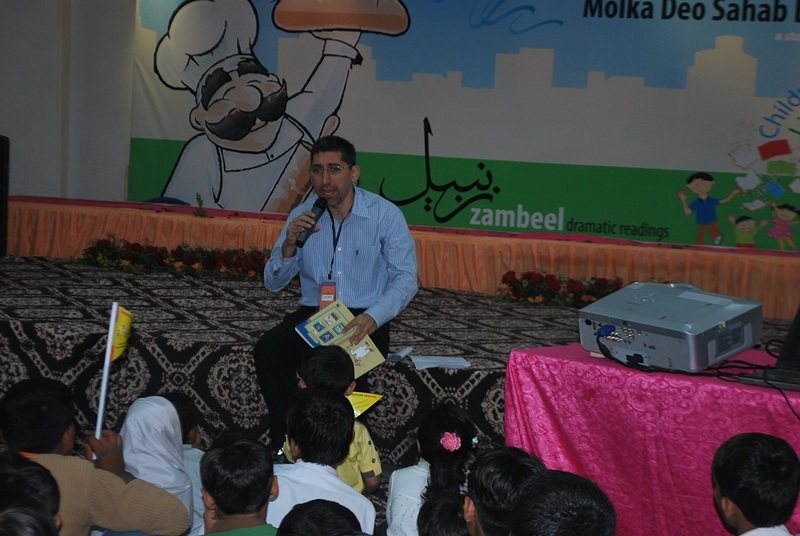 The presenter was best at keeping his audience engaged. 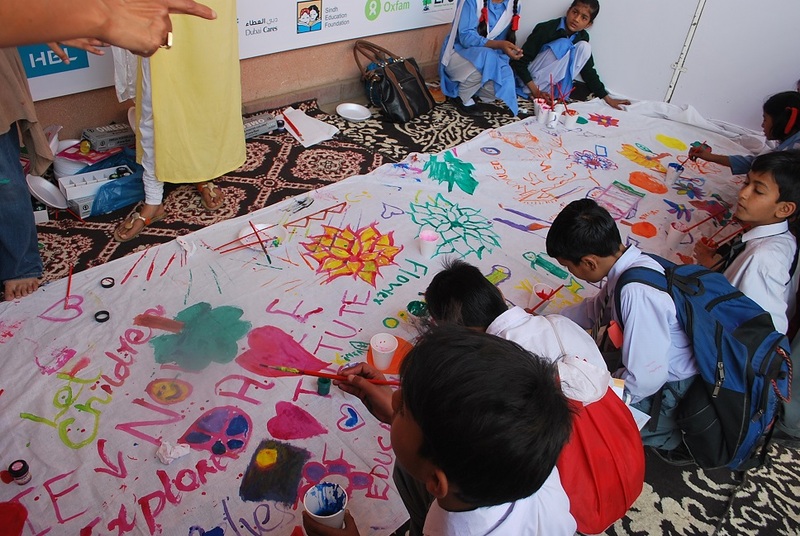 This was followed by our visit to an outdoor camp where the kids were having great time with paints and brushes. But by the time we got there, the piece of cloth was already filled with colors. 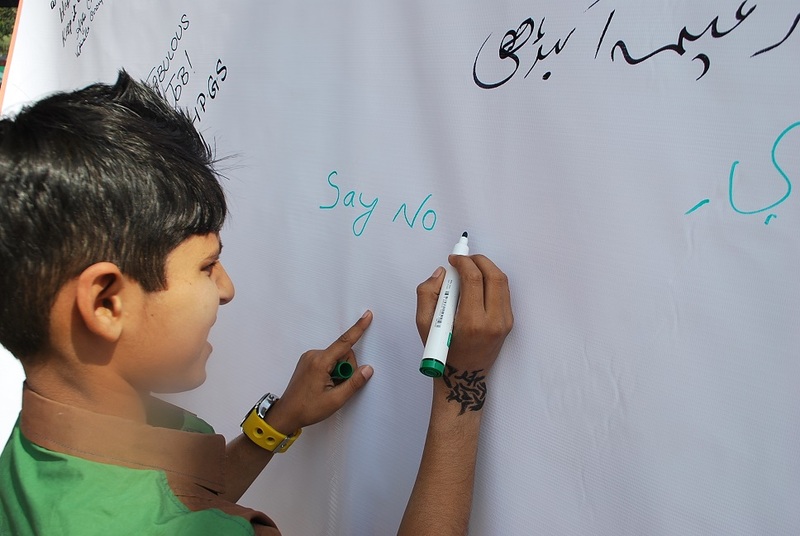 Next stop was a big white board where the kids had to write anything they wanted to. 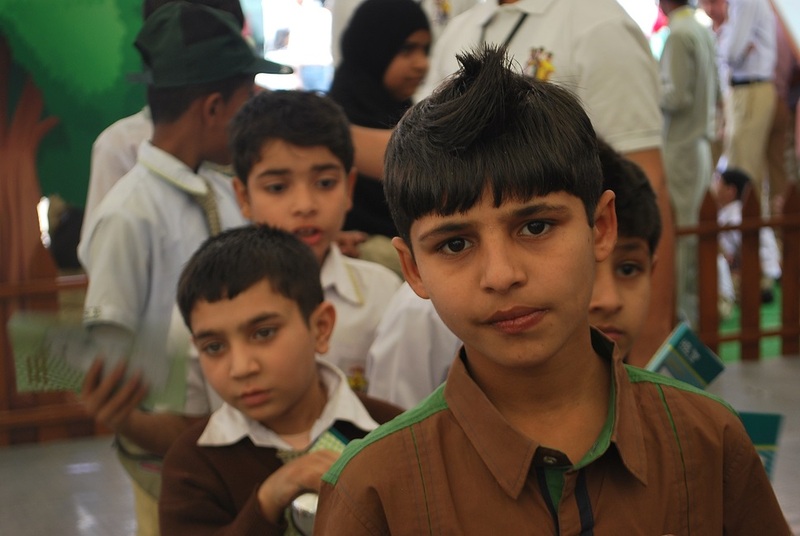 Then we walked towards the courtyard where there were a number of bookstalls selling all the kids stuff. 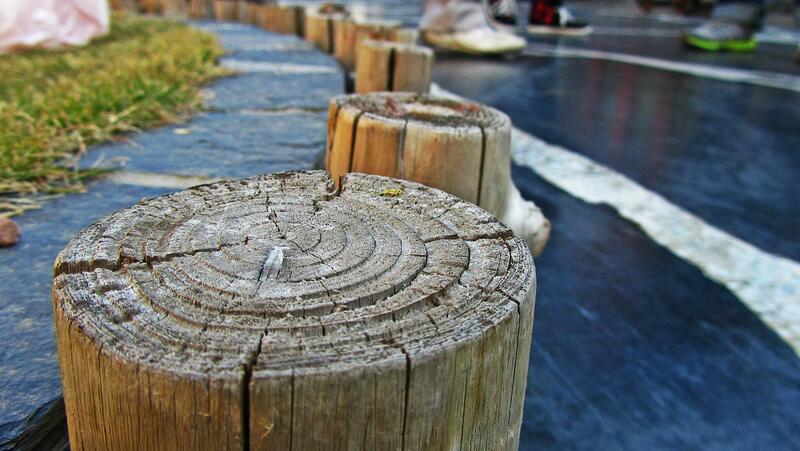 Sliding through the crowd, we arrived at an open theater where an interactive music session was being conducted. By the time we reached, the session was in its last 10 minutes. 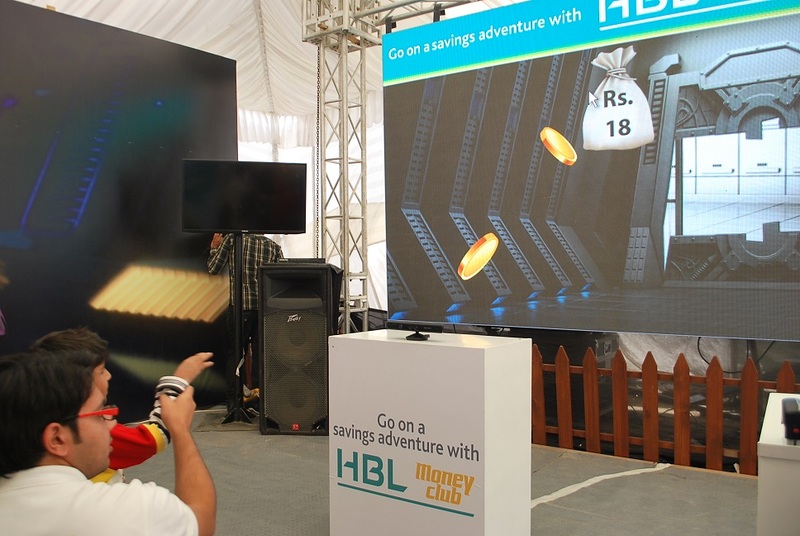 Afterwards, we went all the way to a booth set up by Habib Bank Limited to promote its product called “Money Club” which was aimed at encouraging the children to save money by opening a bank account. 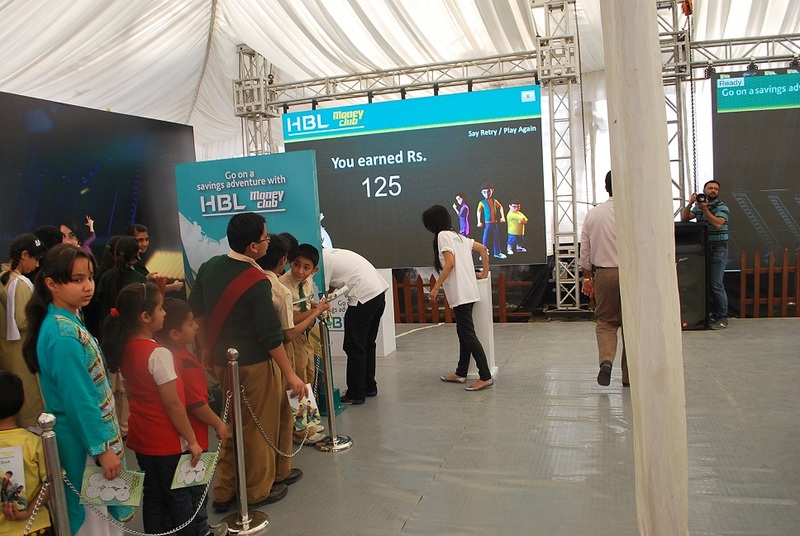 This seemed to be the most-thronged booth as the kids were required to play an interactive money-saving game, make a score and win a freebie. Grab as many cents as you can!!! Finally, the kids told me that they were tired and wanted to go home. I told them there was one other event that I wanted to take them to. If they didn’t like it in the start, then we’d surely leave. 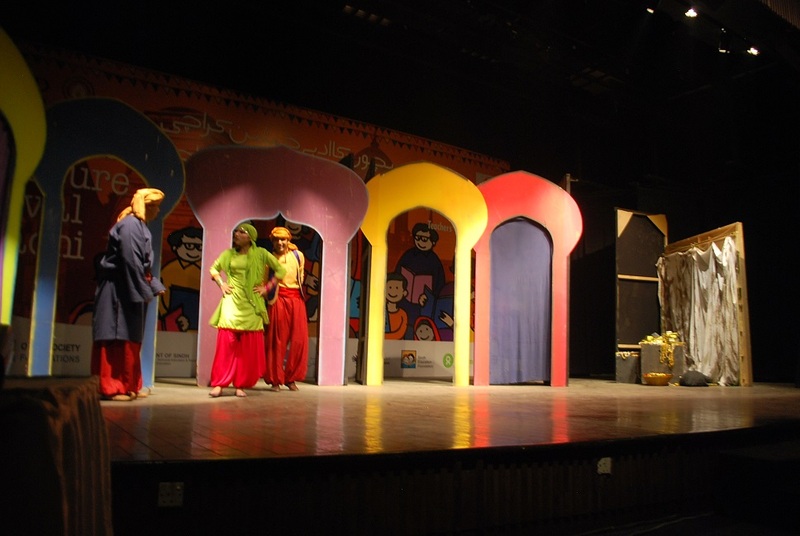 They said ok. We reached an auditorium where a play “Alibaba Chalees Chor (40 thieves)” was going to be performed. 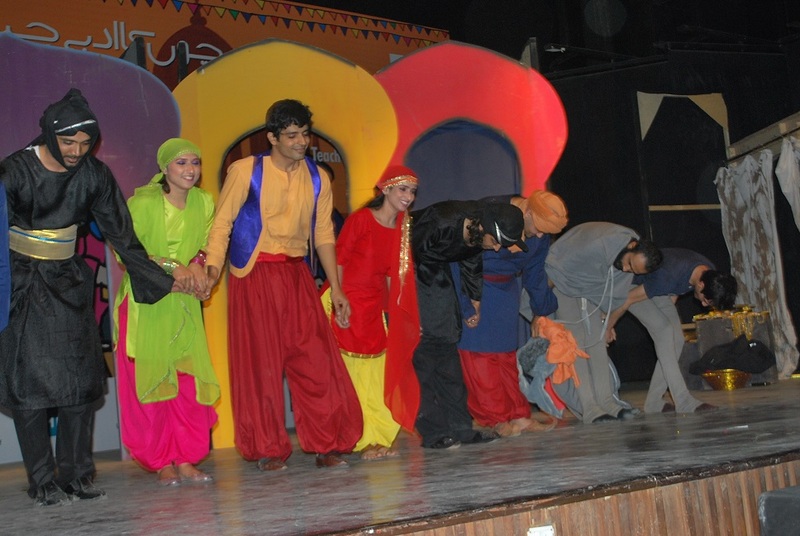 As it turned out, the kids enjoyed the play till “The End”.